So…. I’m officially done with undergraduate college? I bought my robe, cap, and gown. A lot of my friends have ribbons or chords they get to wear for certain awards or accomplishments. I made myself three ribbons for the thyroid cancer colors and I’ll wear that as my accomplishment. My finals are all completed, and I’m not too concerned about the grades. As for now, I’ll be studying for my personal trainer exam- May 16th. I have to take it in Boston and then race right back up to graduate. It’s funny to hear people reflect on college and read Facebook posts that sum up the experience. I know everyone has their own success stories or fundamental growth periods, but I feel pretty out of the norm. I guess maybe it’s because I wasn’t exactly excited to go to college in the first place. It wasn’t because I was scared, I just didn’t think it was for me. I mean don’t get me wrong, I’m totally glad I came, but there was a big part of me that felt very different from everyone else. I’ve kind of chalked it all up to “Experience is what you get when you didn’t get what you wanted”. In this case, I didn’t know what I wanted, so it was a pleasant surprise to see what I’ve gained! 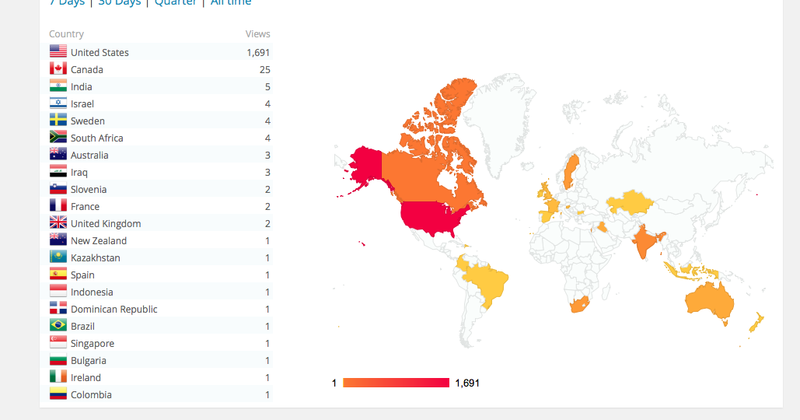 My blog has gone international! That is so awesome! Thanks to all my new international friends for being a part of my journey! Now that I’ve finished my last ever exam for college, I should probably find a job. This entry was tagged college, graduation, thyroid cancer, unemployed. Bookmark the permalink.